Built-in Image Processing Capability, Compatible with Advanced Robotics Automation Platform, Yamaha Motor Launches YFAEYE Robot Camera, Easy Set-up with Enhanced Auto-adjust Functions, Integrated Image Processing in One Unit - News Releases | Yamaha Motor Co., Ltd.
IWATA, October 17, 2016—Yamaha Motor Co., Ltd. (Tokyo: 7272) announces the December 1, 2016 launch of the YFAEYE camera with built-in image processing capability designed for item identification and recognition on an automated production line. The introduction of the YFAEYE marks the beginning of Yamaha Motor’s entry into the machine vision sector. The YFAEYE is a camera with built-in image processing capability and direct connectivity to PLC*s, robots, etc. In addition to its ability to capture images, it has an image processing circuit, CPU, and software on board, without the need for any external board. As well as lighting control, this one unit provides integrated operations covering the entire range of image processing needs including image capture, image processing, position detection, and character/code recognition. This camera supports the “Advanced Robotics Automation Platform” integrated control robot system, and can be connected to the YHX series integrated controller with a single cable. Operation and setting are performed using the “Programming Pad” touch panel. Optimal settings of the camera are performed automatically simply by selecting the intended result, even for operations requiring considerable proficiency such as pre-processing (image registration and filtering), and selecting image processing algorithms. Utilizing experience and knowhow gained from the current “iVY System” image processing product allows for even higher precision and simple, quick set up. 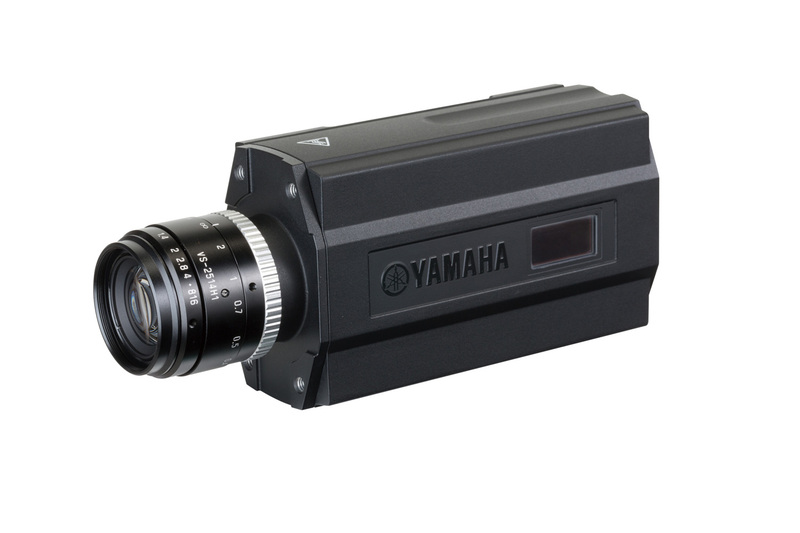 Yamaha Motor aims to expand into the field of camera unit sales as, thanks to its general-purpose design, the YFAEYE is capable of being connected to automated systems other than those of Yamaha Motor. *Abbreviation of Programmable Logic Controller a control device modeled on relay circuits. With monozukuri sites being increasingly required to produce multiple products in varied volumes due to shorter product cycles, there is a need for the construction of low cost, fast, efficient as well as compact production facilities in a short period of time. For these kinds of high speed, high precision production processes, the lack of an image processing system is no longer an option, and the ability to easily construct this system will become a major factor. From industrial robots to controllers, Yamaha Motor's lineup of products to powerfully support the automation of production sites is rich in variation. For Yamaha Motor, building on these strengths to pursue greater efficiency and quality in increasingly complex, diverse, and high-speed production sites is through identifying the recent increasing importance of image recognition equipment. Yamaha Motor are therefore entering the machine vision sector beginning with YFAEYE to contribute to simplifying operations and reducing workloads. The set-up and operation of the YFAEYE is easier than ever thanks to major advances in technology acquired from the current iVY System with easy set-up as its key feature. In addition to its image capture capability, having the image processing system, CPU, and software all integrated within the unit can provide lighting control as well as integrated operations covering the entire range of visual processing needs including image capture, image processing, position detection and character/code recognition, without any external board at all. When connected to the YHX series integrated controller, conveyer tracking, character recognition, etc. can more easily be performed for robot position and absolute coordinate adjustment. It can also be linked to non-Yamaha Motor robot systems or PLC. Operation is performed using the “Programming Pad” touch panel. Optimal settings of the camera are performed automatically simply by selecting the intended result, for operations requiring considerable proficiency such as pre-processing (image registration and filtering), selecting a search method, extracting features, and setting appropriate parameters. Automatically set values can also be manually fine-adjusted as necessary. The unit provides convenient functions including a “Lighting Control Function” that can control lighting up to a maximum of four channels, a “Systematic EL Monitor” that recognizes the operating status at a glance, support for conveyor tracking, “Encoder Input” that allows for capturing images at set positions above the turntable, and the ability to switch between multiple cameras daisy-chain connected (max. 16 units) from the programming pad to carry out operation and set-up. >> AC Servo Motor "GX Serie"s and "YLE Series"